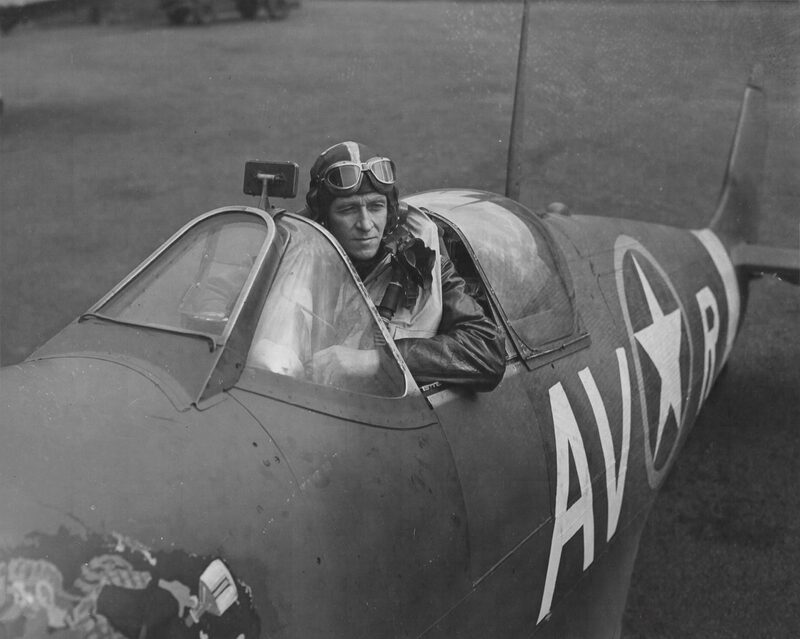 Captain Don Willis in the cockpit of his Spitfire Mk.Vb fighter. 1942. Don Willis served during the Second World War as part of the air forces of four countries: Finland (during the Winter War, 1939-1940), Denmark, Great Britain and the USA. Willis served in the 121st Squadron (Eagle Squadron) of the Royal Air Force, in this, as well as in the 71st and 133rd Squadron, volunteers from the United States fought. On October 14, 1942, the squadron became part of the 4th fighter group of the United States Air Force, and on April 22, 1943 the squadron became part of the 8th Air Force of the United States Air Force. According to some reports, Don Willis, driving a P-38 fighter, was shot down and captured in 1944. The photo was taken when the squadron was part of the 4th fighter group, but the aircraft still has the code of the 121st squadron – AV-R.